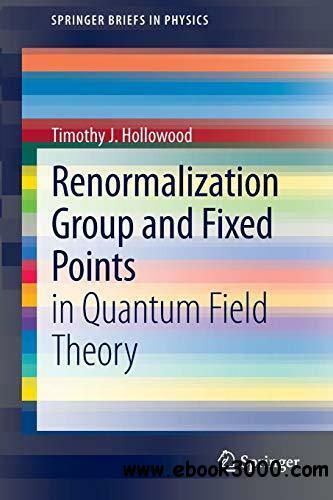 This Brief presents an introduction to the theory of the renormalization group in the context of quantum field theories of relevance to particle physics. Emphasis is placed on gaining a physical understanding of the running of the couplings. The Wilsonian version of the renormalization group is related to conventional perturbative calculations with dimensional regularization and minimal subtraction. An introduction is given to some of the remarkable renormalization group properties of supersymmetric theories. Copyright 2007-2019 www.ebook3000.Com All Rights Reserved.